[Ryan Jay] Muehlhauser, 55, of Cambridge, had been an Isanti County pastor serving the community for more than 20 years when he was charged in November 2012 with eight counts of felony, fourth-degree criminal sexual conduct with two adult males seeking spiritual counsel. 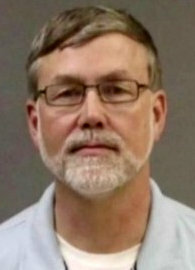 Muehlhauser had been serving as senior pastor at Lakeside Christian Church in Cambridge since January 2012. Prior to that he served as the church’s associate pastor for 22 years. Muehlhauser previously admitted in court that he engaged in sexual contact with two adult males. He admitted the sexual contact with one of the victims took place throughout October 2012 inside the prayer cabin located on the church property while he was providing spiritual advice in his role as pastor. He admitted to placing his hands on the victim’s genital area and suggesting the victim fondle himself. The relations at issue surfaced when a counselor with Outpost Ministries — a group that assists individuals who “want to break away from the gay life,” according to its website — reported that two young men he was counseling advised him of sexual activity between them and Muehlhauser. He’s right, but it’s important to point out that, even aside from sexual abuse, taking advantage of people struggling with their sexuality and spirituality is what ex-gay organizations do. The fact that Muehlhauser also sexually abused people just adds to the injury.